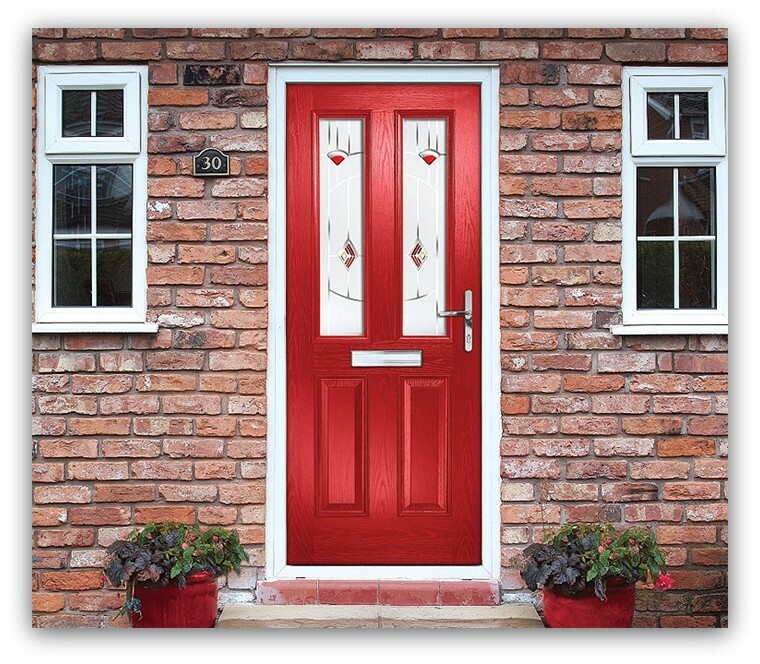 your personal taste, style and character to a tee. 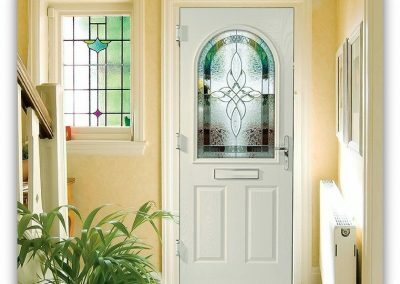 Inspirational, beautiful and the ultimate in stylish practicality. 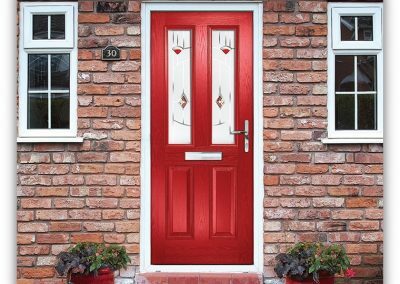 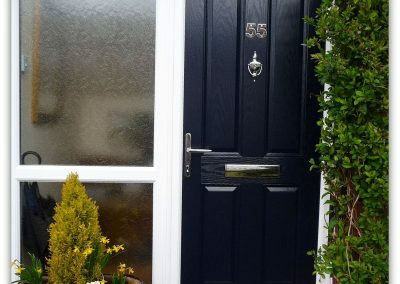 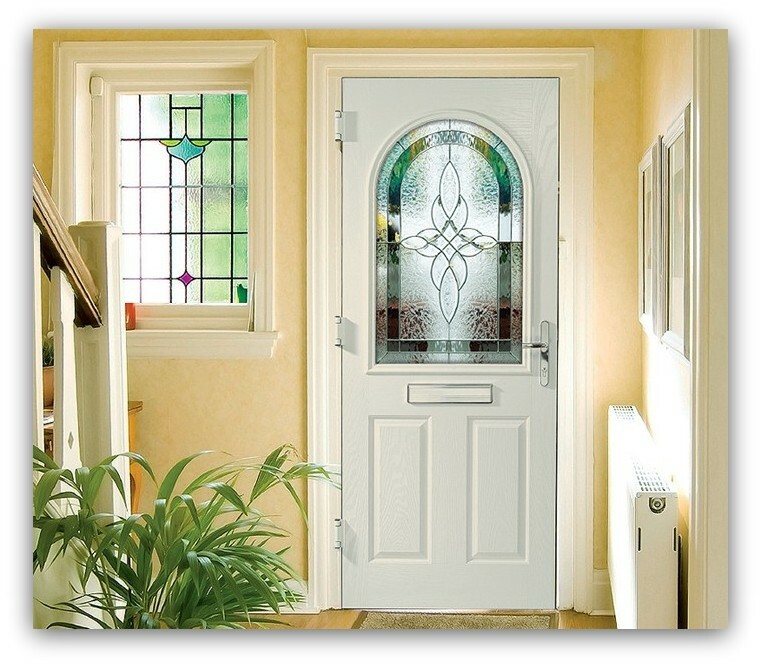 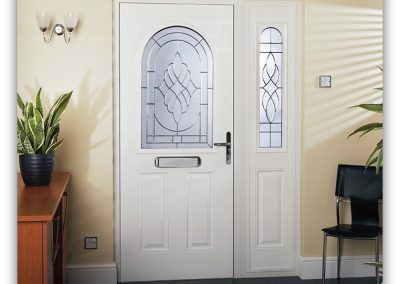 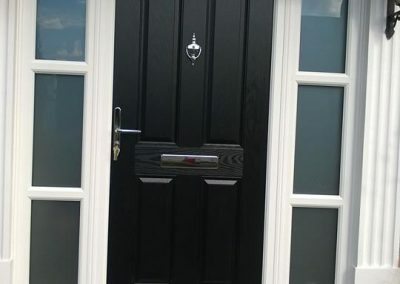 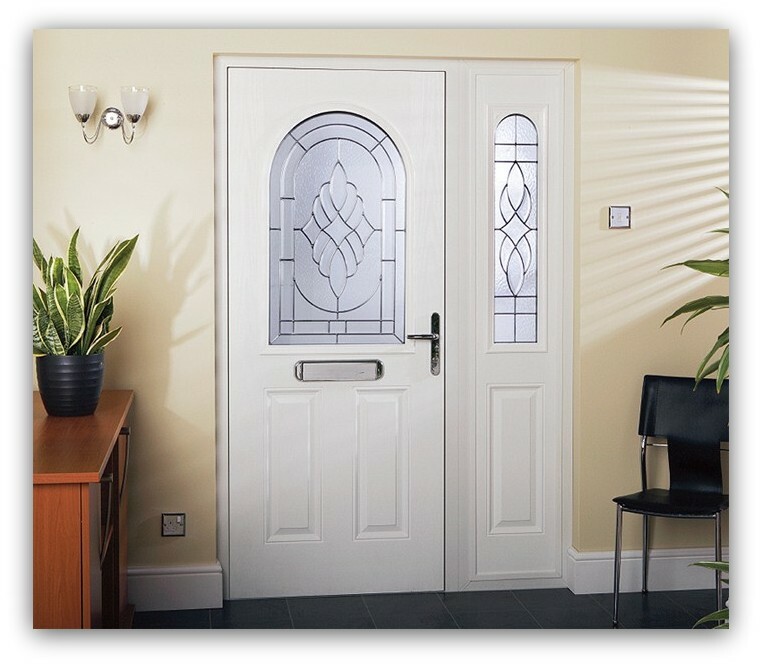 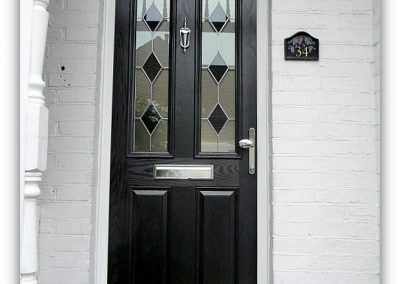 Signature Glazing Options has been created to provide you with a wealth of choice, to enhance your composite door and to create that first impression that really does speak volumes. 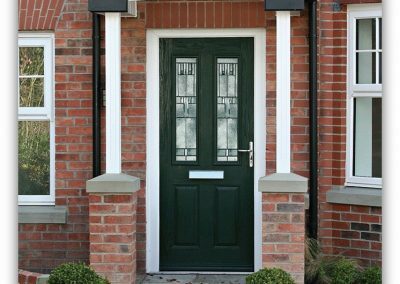 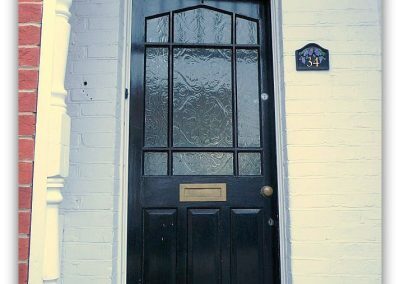 The entrance to your home is vital and because first impressions really do count, we believe it’s important that your door reflects your personal taste, style and character to a tee. 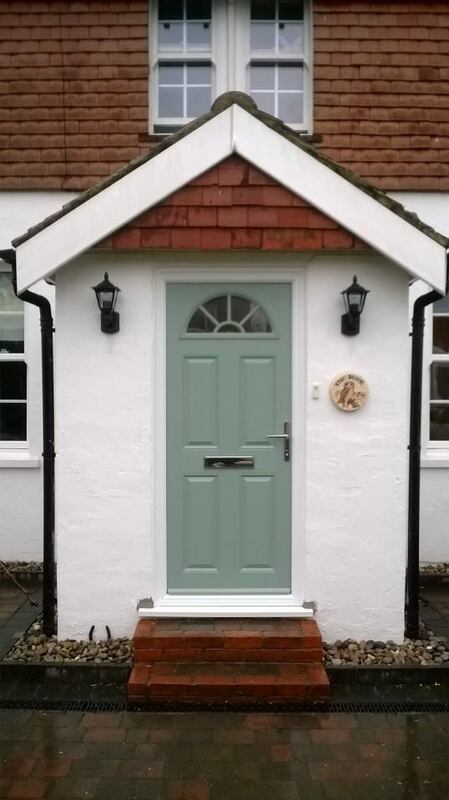 The white wooden door was replaced by the attractive blue composite version with silver door furniture. 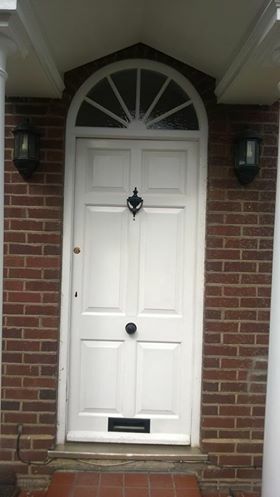 The client wanted to retain the original wooden arch above the door so we tailor-made the frame to the new door to fit the existing area. 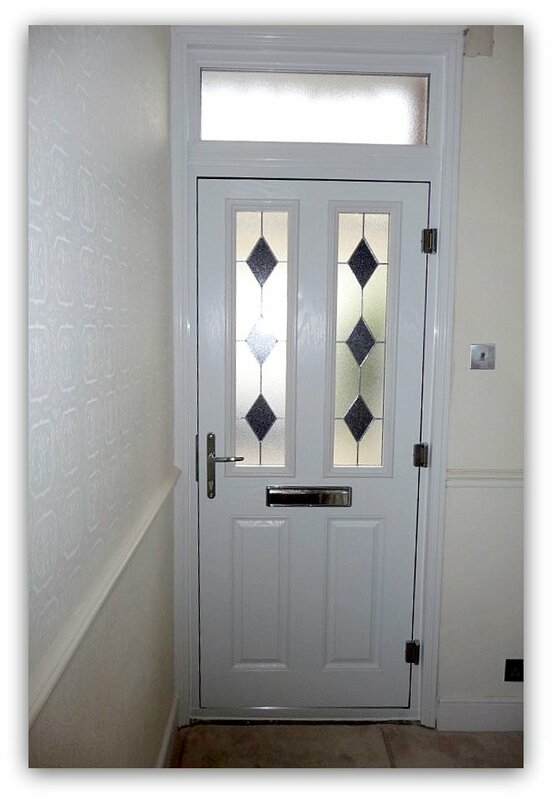 PVc white door with sidelights, all to be replaced. 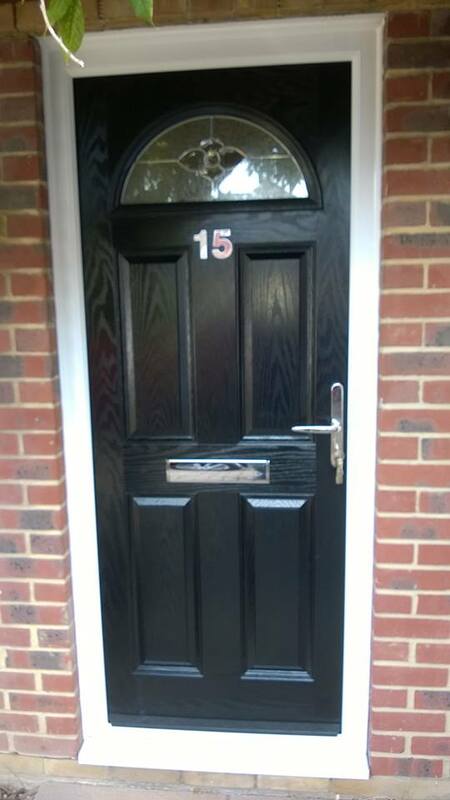 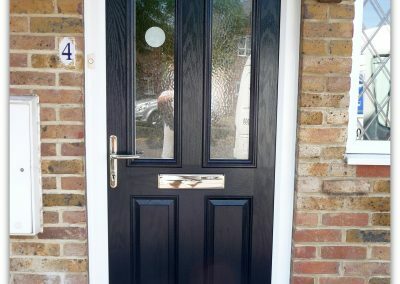 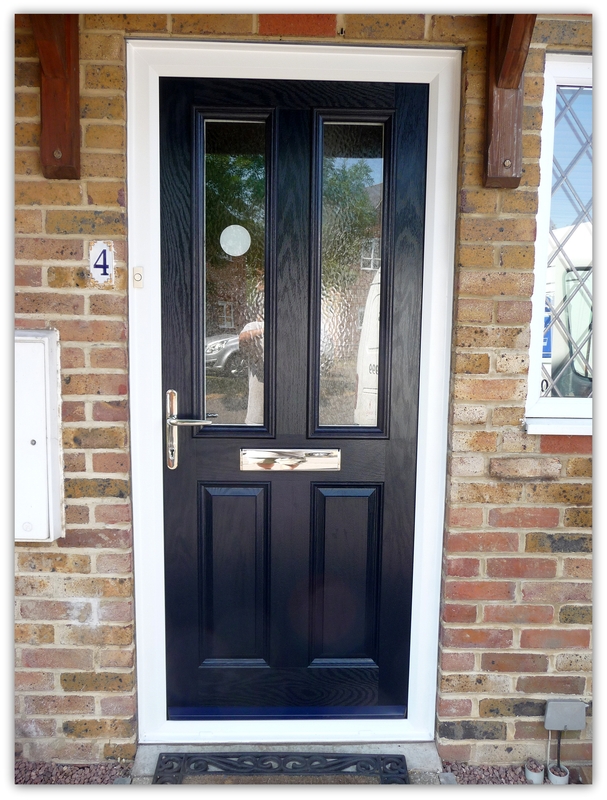 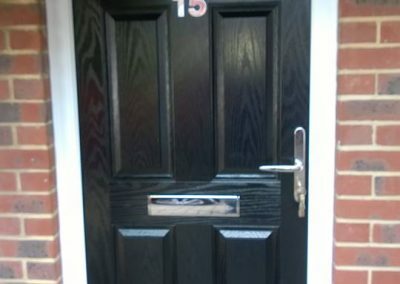 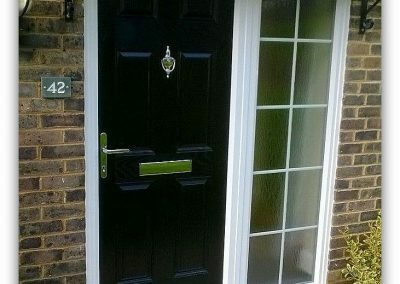 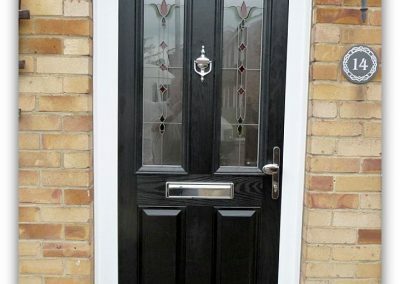 The replacement composite door in Black with satin glass in the sidelights. 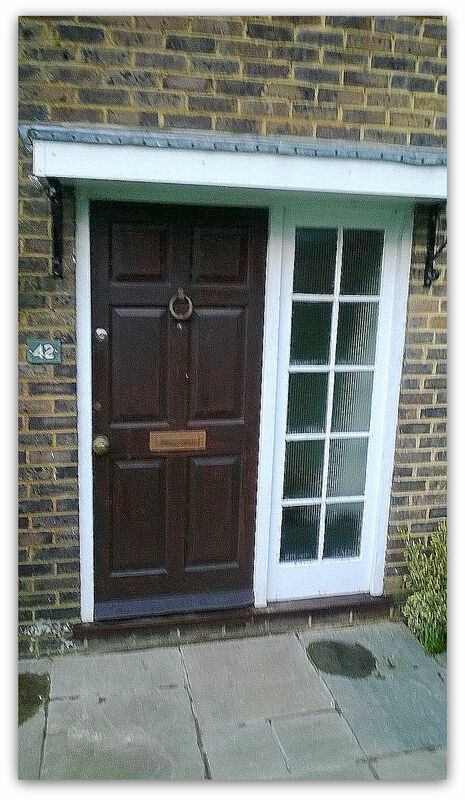 Original wooden door to be replaced. 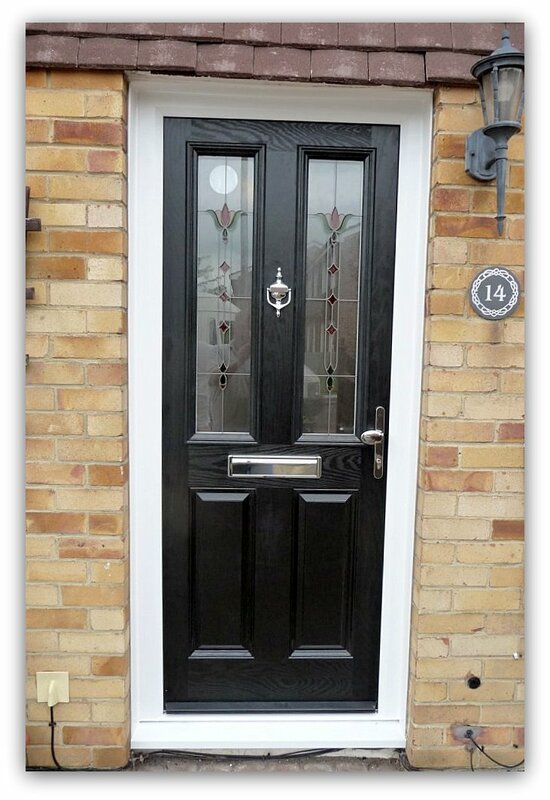 New composite door in Black. 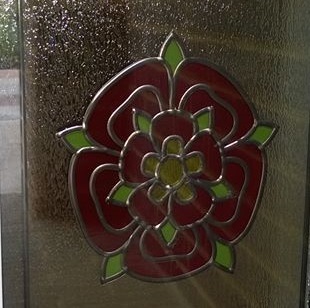 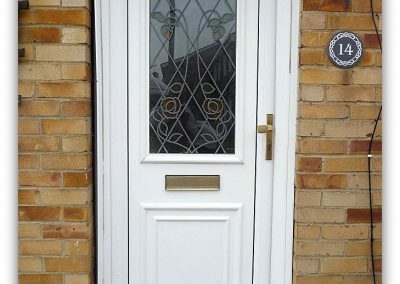 The new dark wood composite door with new side light featuring the Lancashire Rose design. 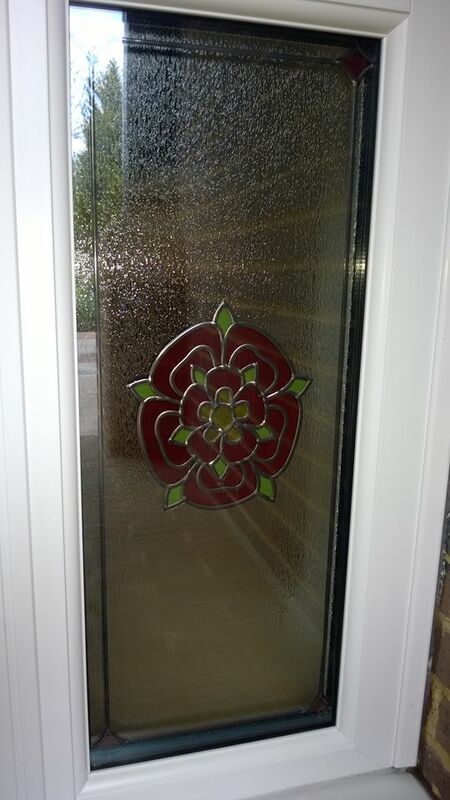 The closer view of the Lancashire Rose design that was fitted by us. 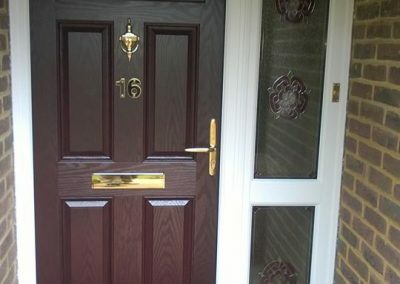 The client approved the design before installation. 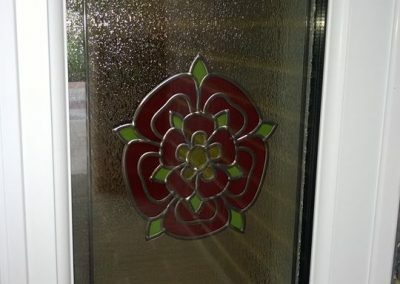 We are happy to work with you on an individual glass design to add that personal touch to your home. 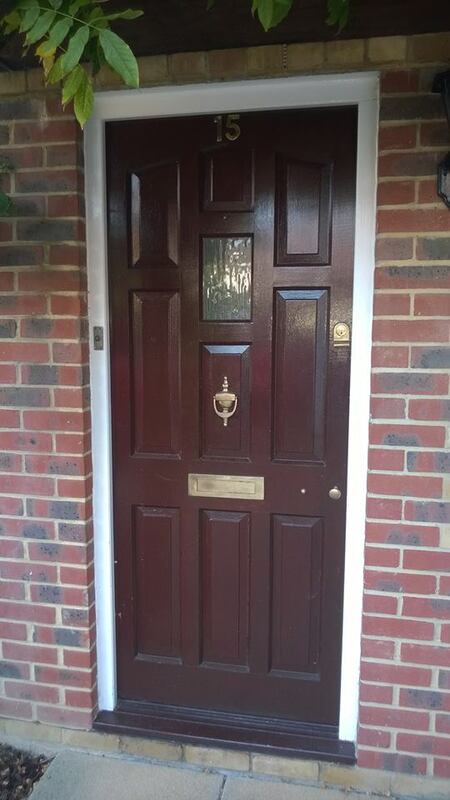 Original door to be replaced. 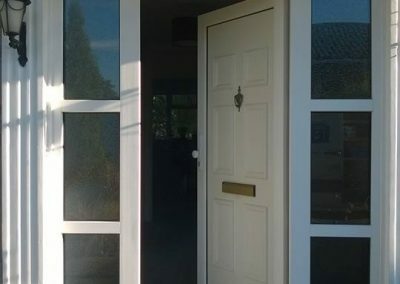 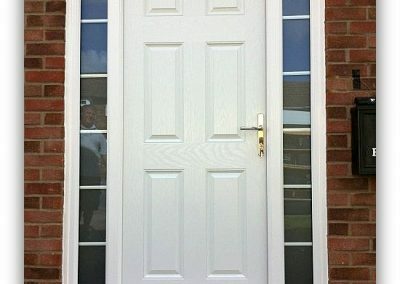 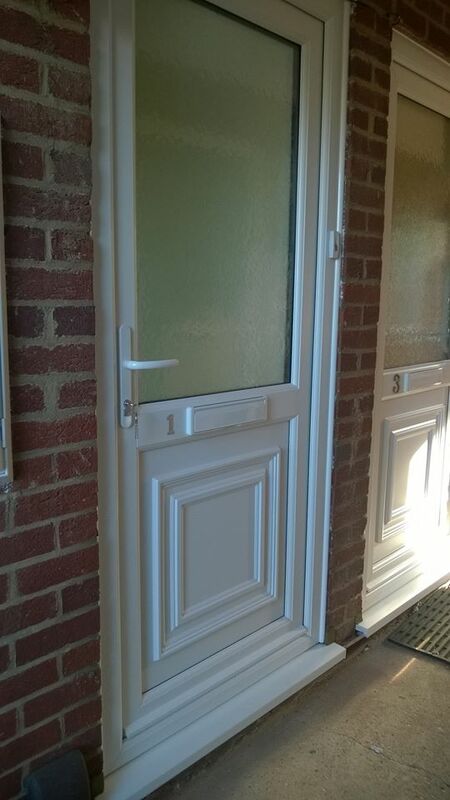 Replacement white PVc door with glass over panel. 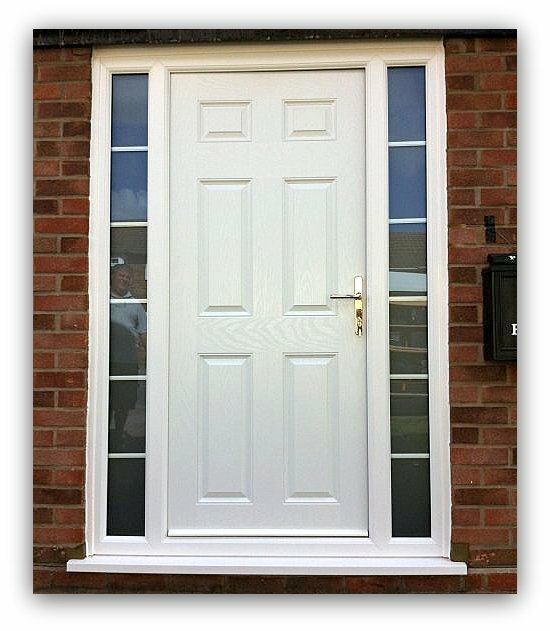 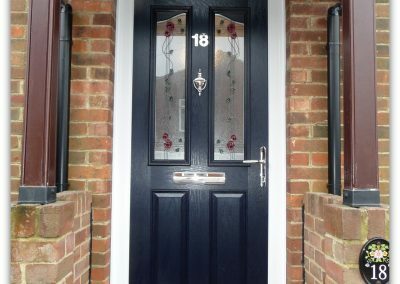 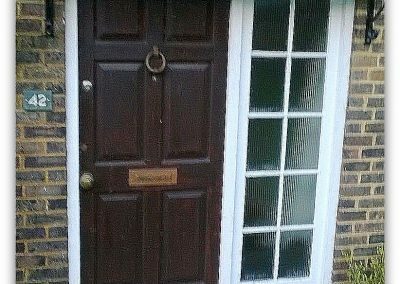 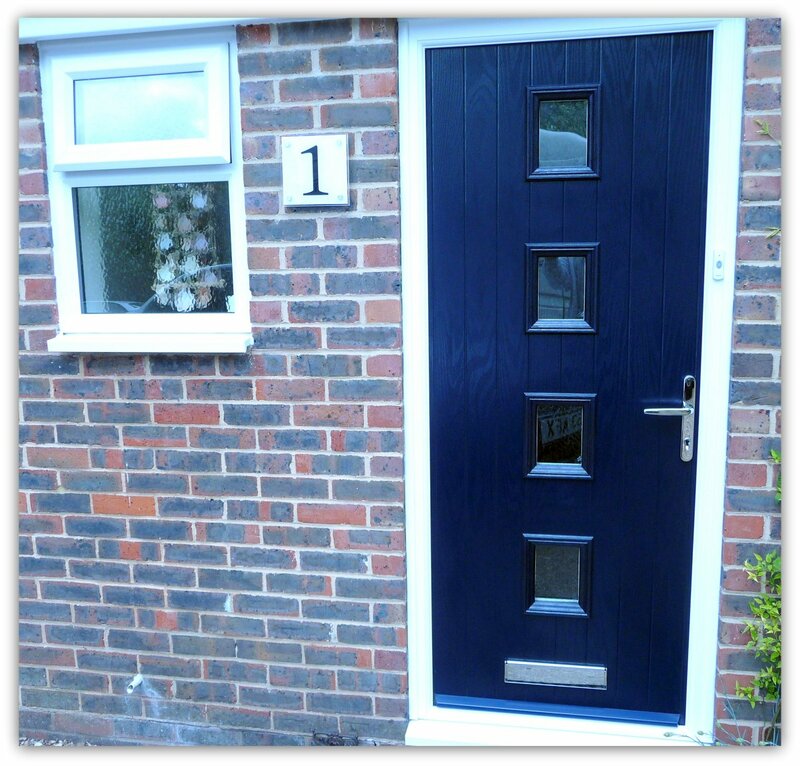 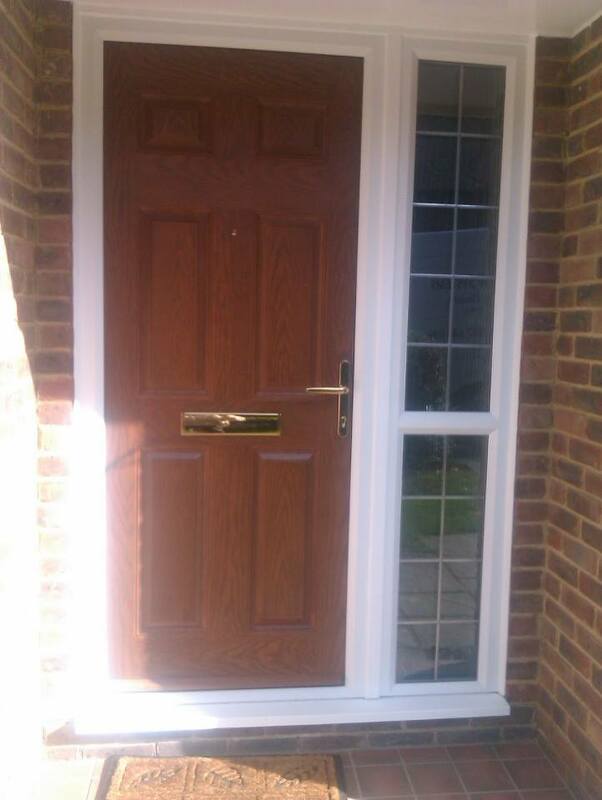 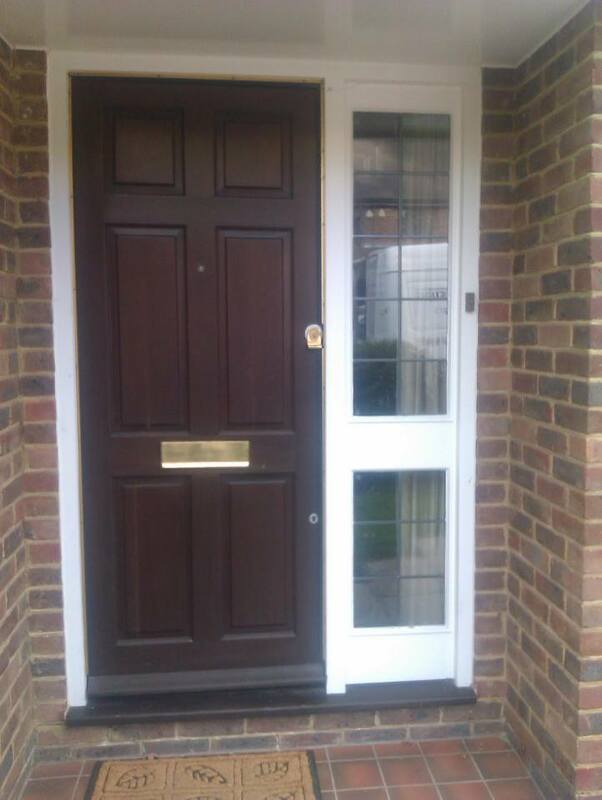 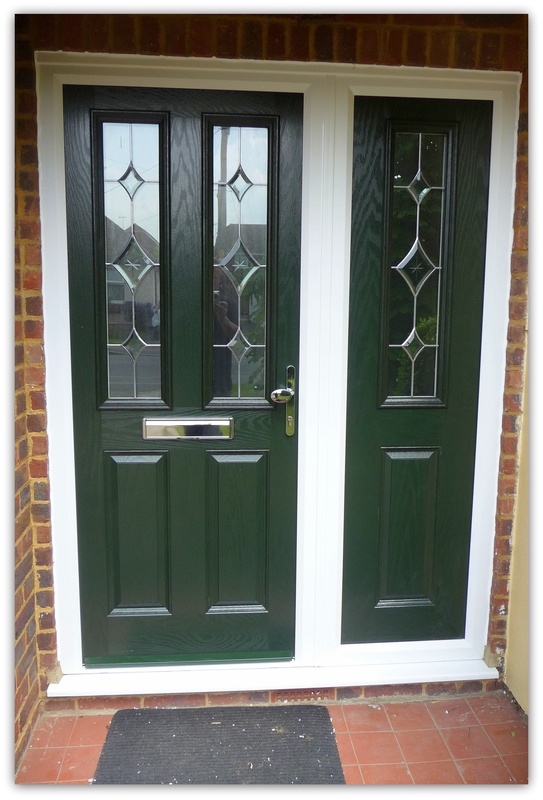 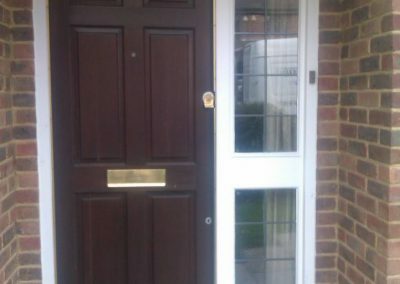 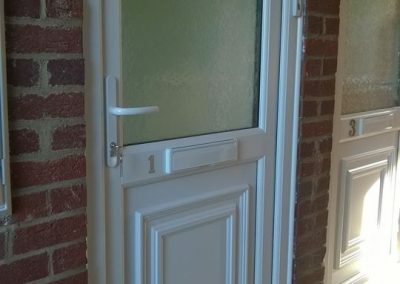 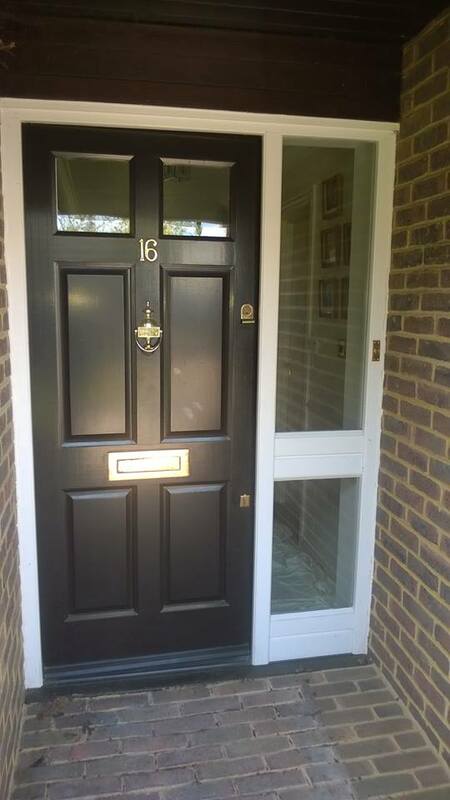 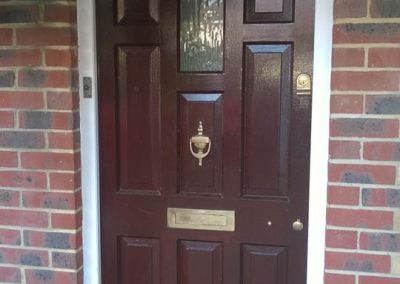 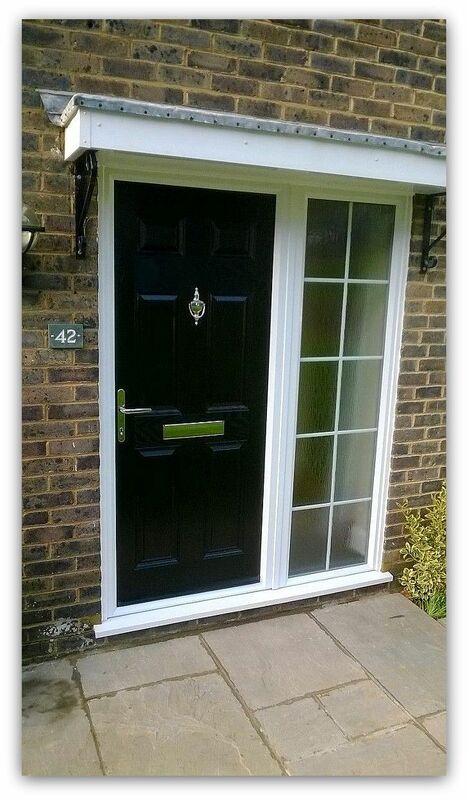 Here is a prime example of a composite door installed by Edenbridge Window Systems . 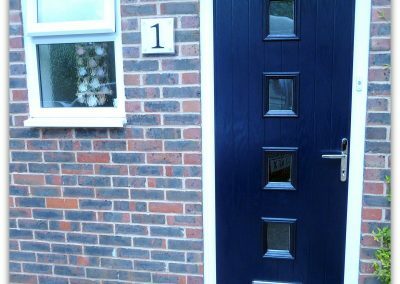 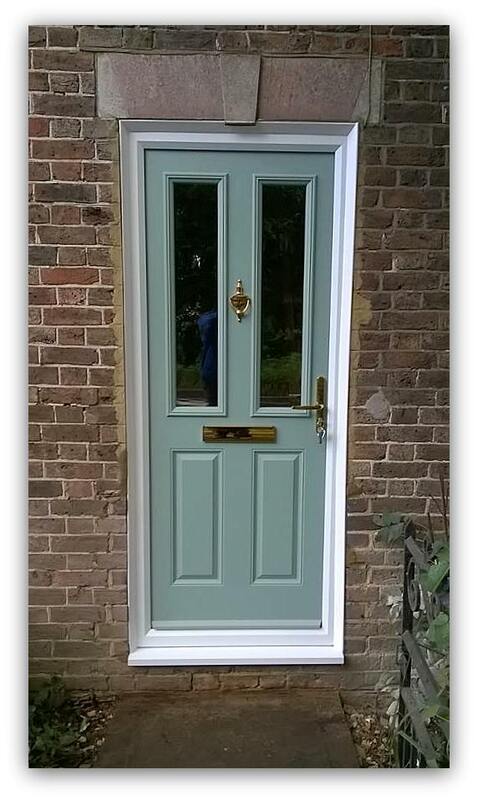 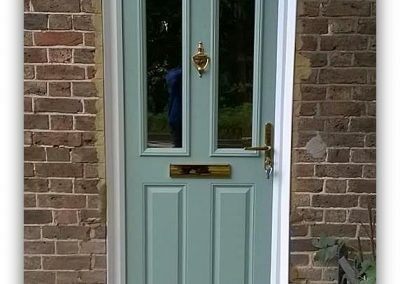 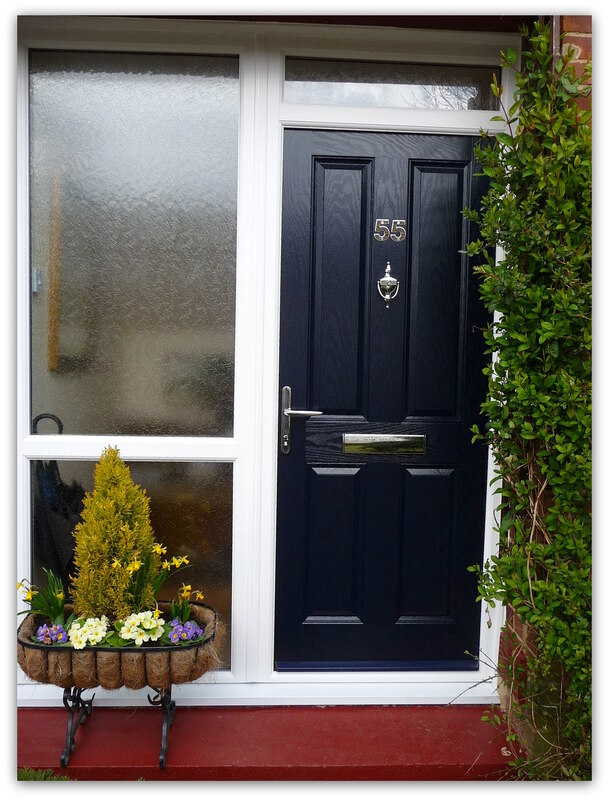 The customer had chosen a blue contemporary four square composite door with Minster glass. 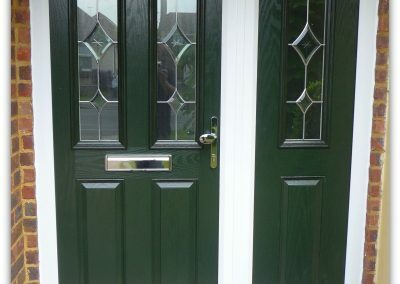 We also installed a “A” rated window to the toilet with Minster obscure glass to match the composite door. 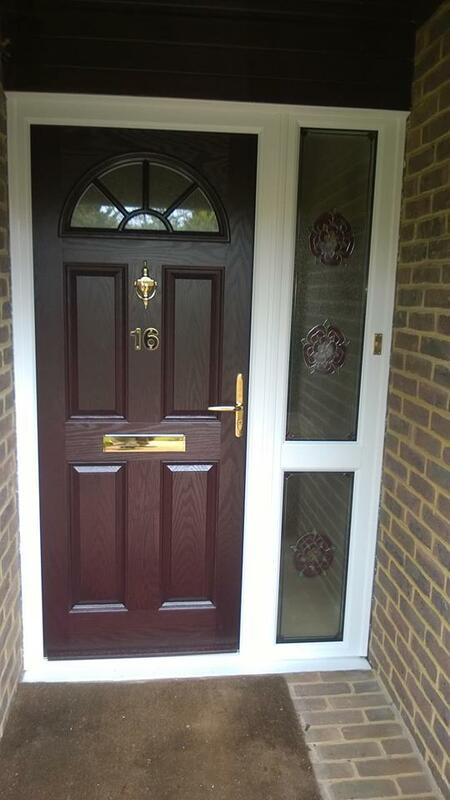 Here is a prime example of a Composite Door installed by Edenbridge Window Systems . 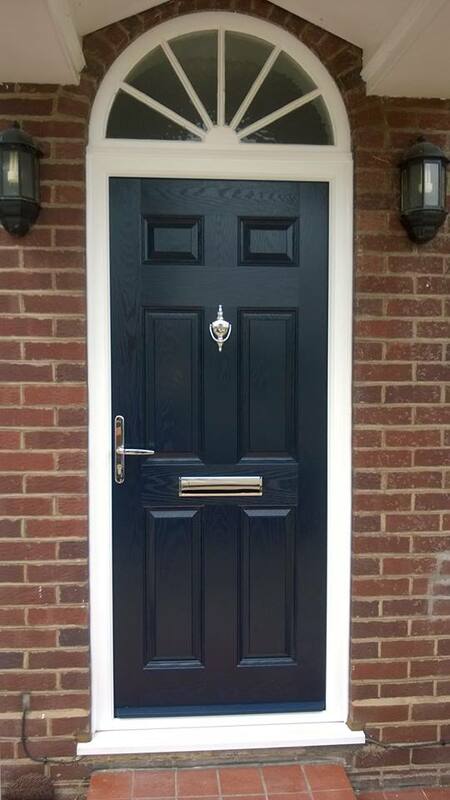 The customer had chosen a Blue contemporary four square Composite Door with Minster Glass. 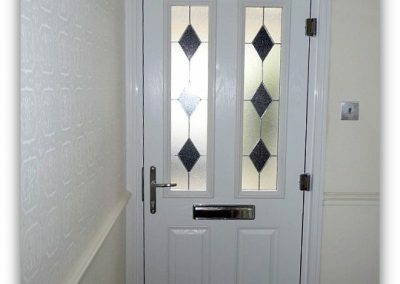 We also installed a “A”Rated” window to the toilet with Minster Obscure Glass to match the Composite Door. 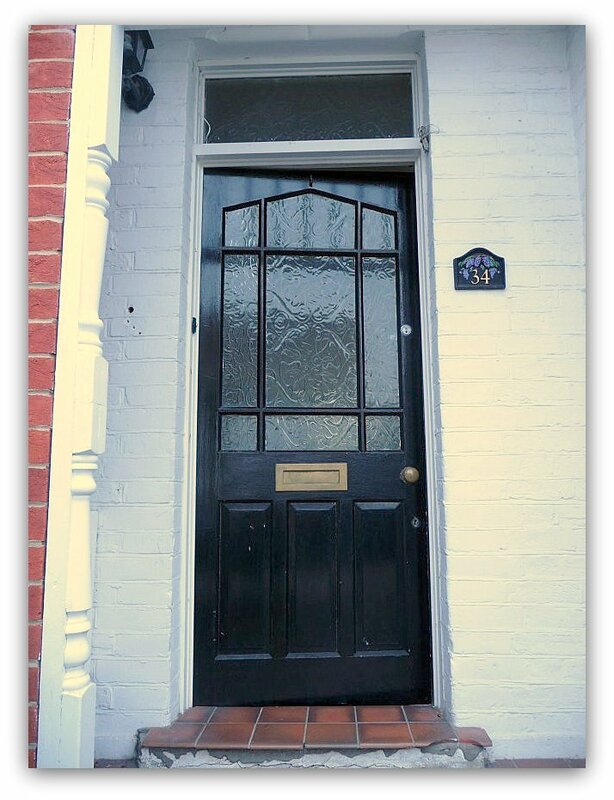 Here is another great example of a new door… it’s like we gave the house a facelift! 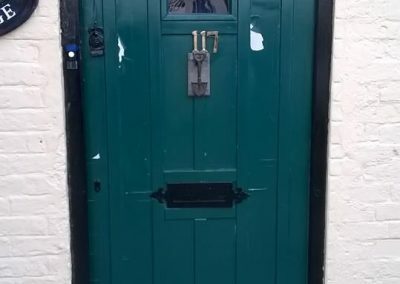 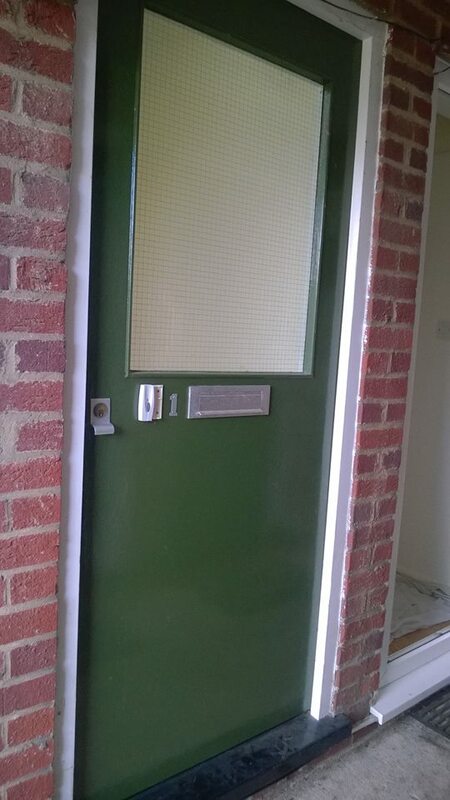 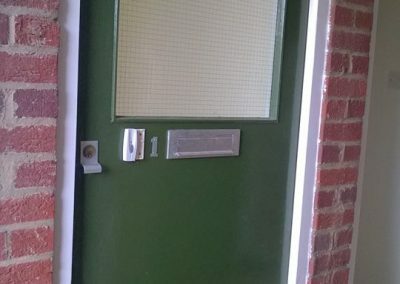 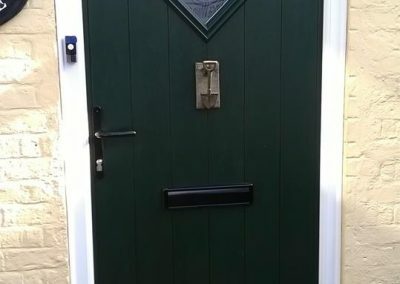 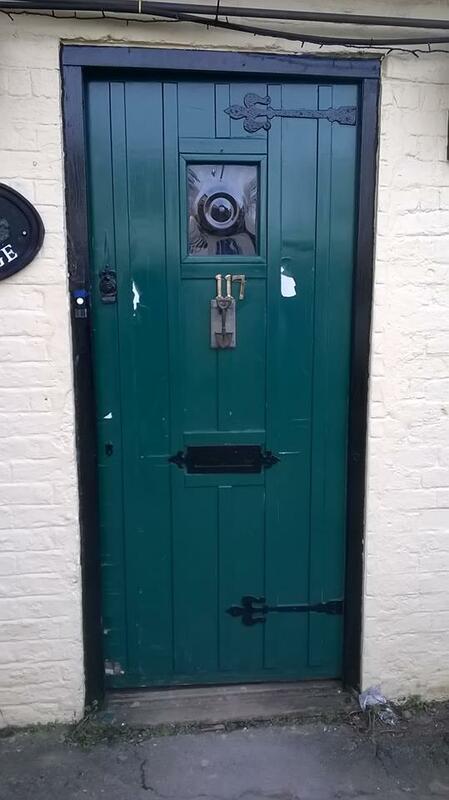 This front door is in the colour range Green. 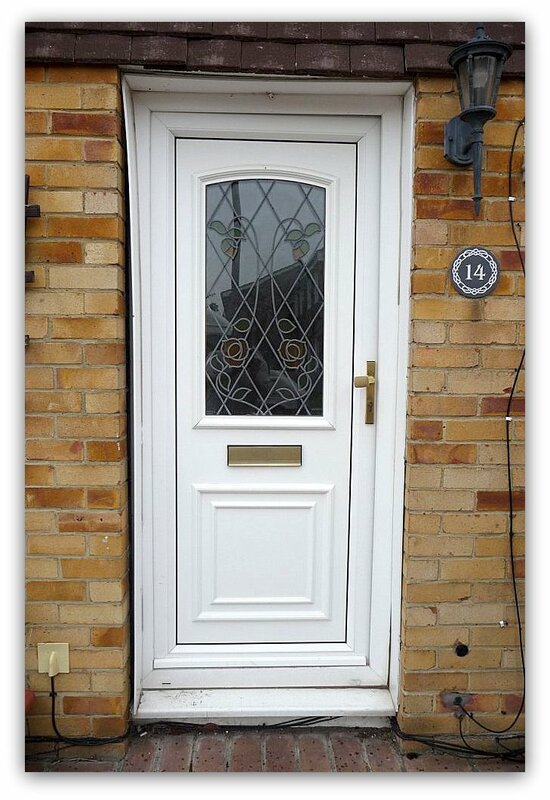 This composite door was replaced to spruce up the outside of the house. 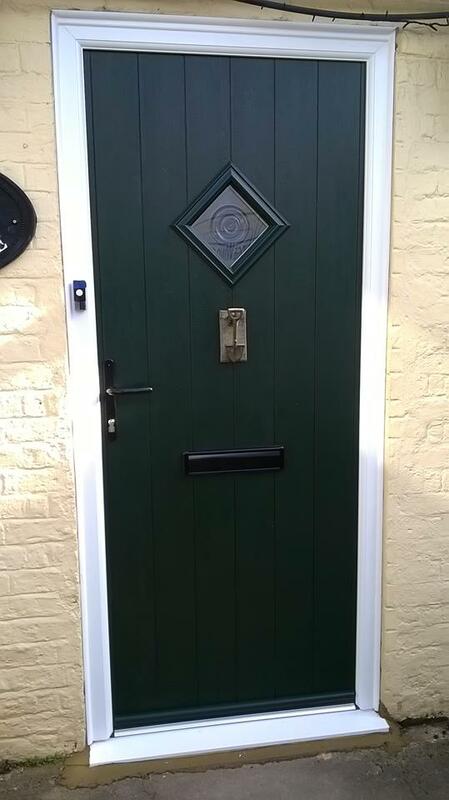 The new door is a composite in ‘Oak’ and just freshens up the entrance to the house. 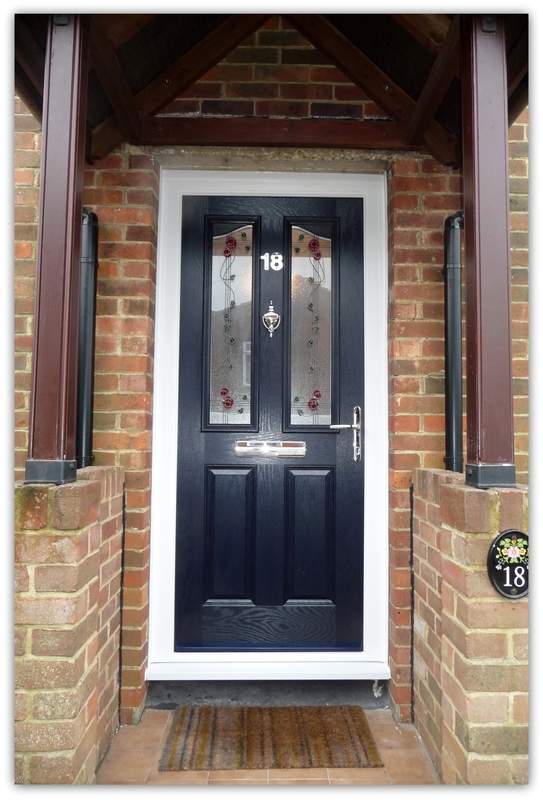 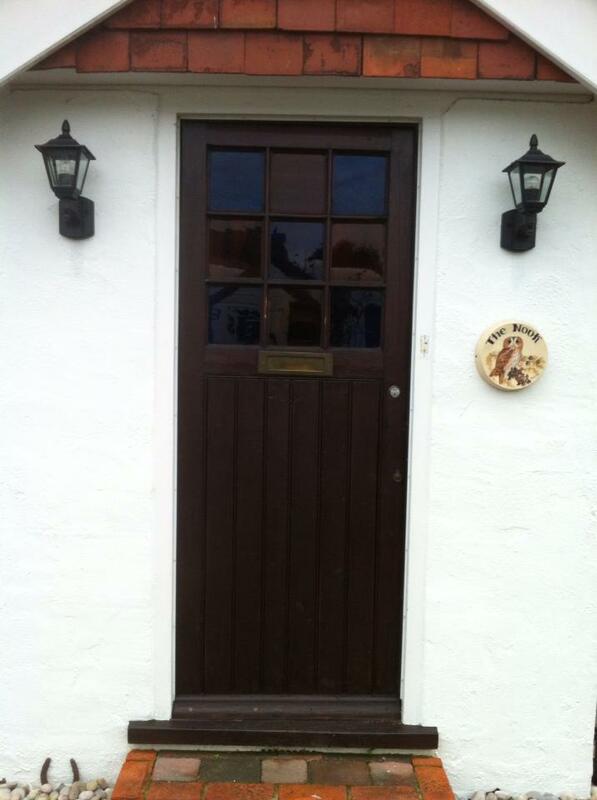 Here is another great example of a new door….its almost like we gave the house a facelift! 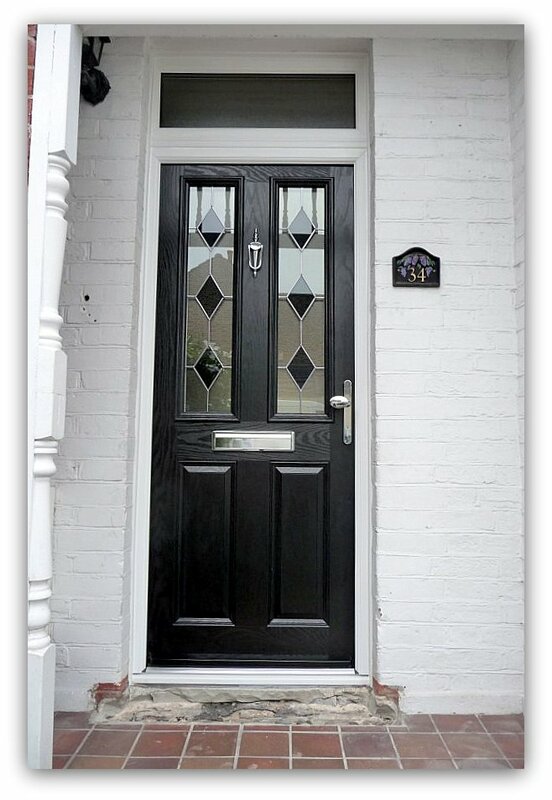 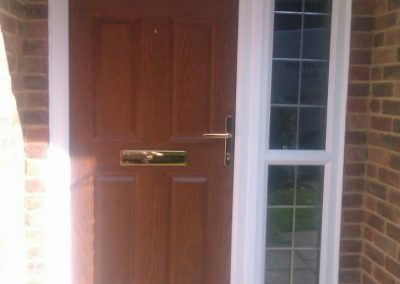 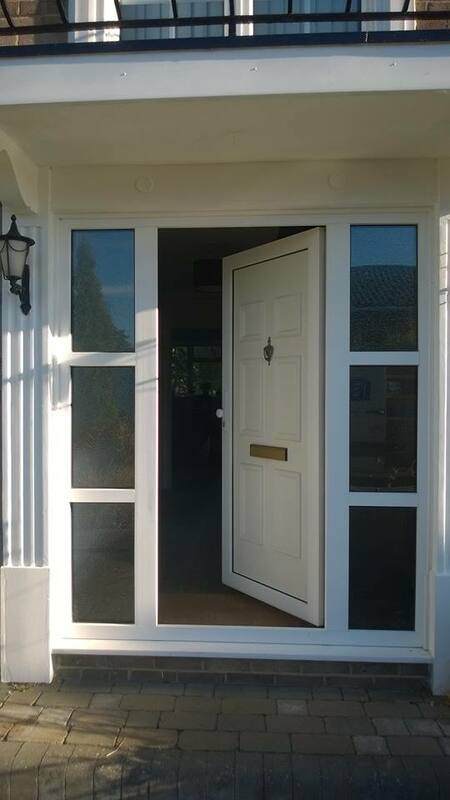 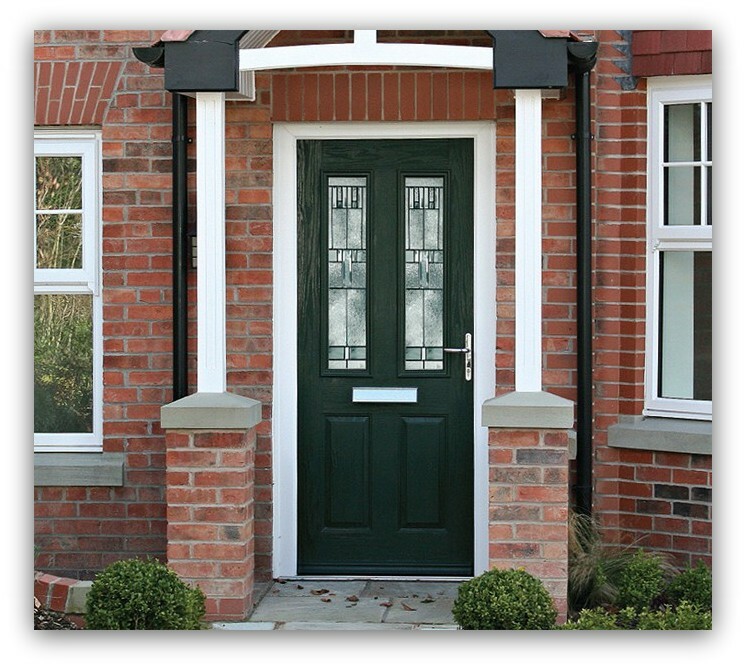 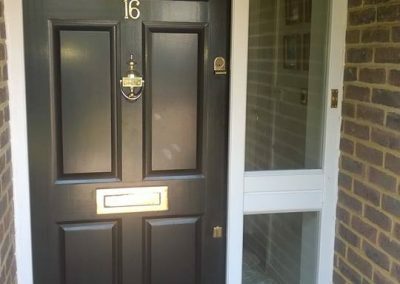 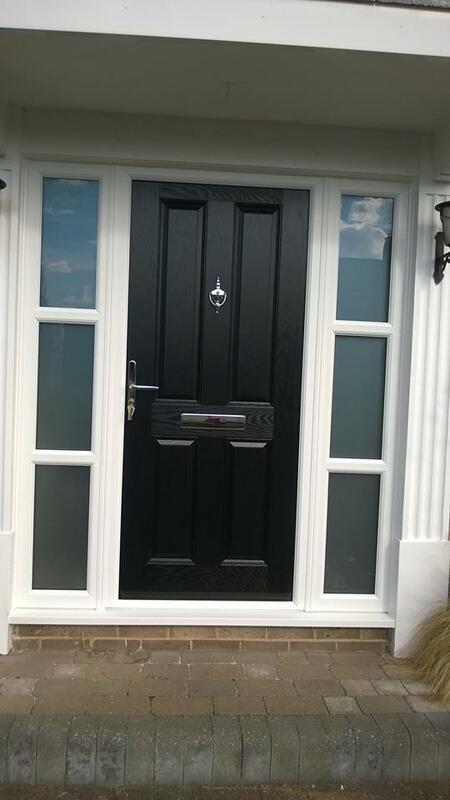 This composite door is elegant and transforms the entrance to this house. 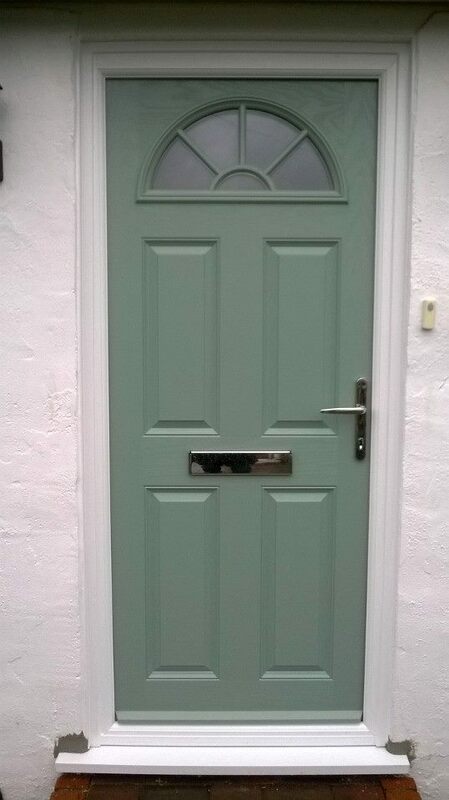 The colour is Chartwell Green.